Introducing our Black Velvet Tie Front Jacket with flare sleeves. This flattering fitted style with tie front is the perfect after dark look for your winter wardrobe. 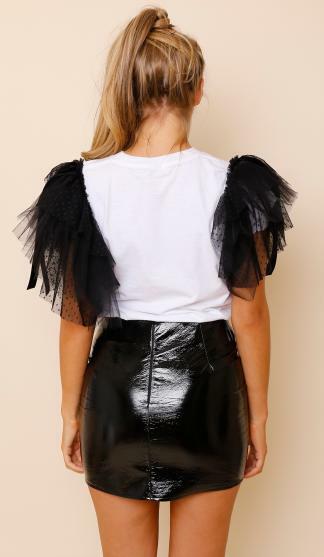 Wear with our Glint Silver Sequin Trousers for a night out with the girls or mix it up with leather look trousers and heels for a different look.